This example illustrates the properties of a feedback interconnection of passive systems. Consider an interconnection of two subsystems G1 and G2 in feedback. The interconnected system H maps the input r to the output y1. The interconnected system is therefore passive. 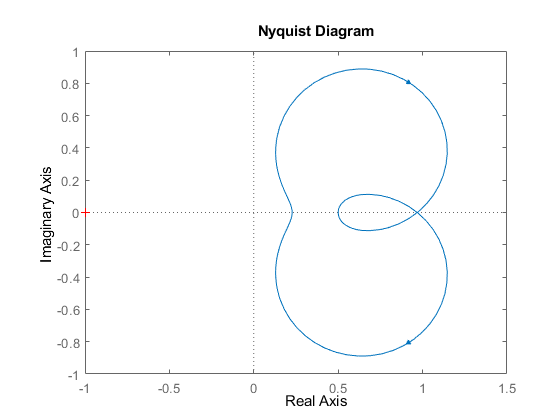 This is confirmed by verifying that the Nyquist plot of H is positive real. 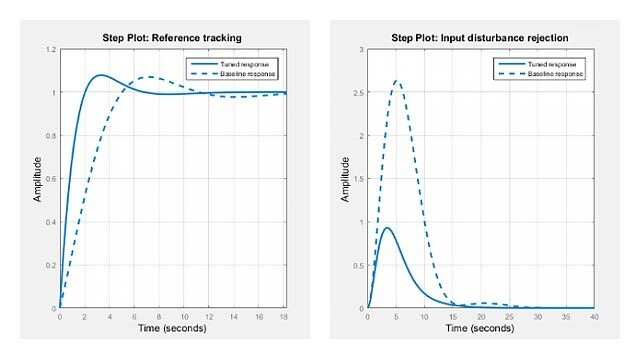 In other words, we can infer some minimum level of input and output passivity for the closed-loop system H from the input and output passivity indices of G1 and G2. For details, see the paper by Zhu, F. and Xia, M and Antsaklis, P.J., "Passivity analysis and passivation of feedback systems using passivity indices," American Control Conference , 2014, pp. 1833-1838. Verify the lower bound for the input passivity index ν.